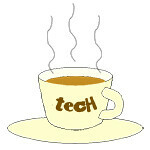 Jabra « Tech bytes for tea? The new Halo Smart wireless earphones is designed for both optimal voice quality and superior sound experience so that users can use a single set of earphones for both work calls and personal music enjoyment. Available online and in Singapore at S$138 from mid-July. Jabra promises all-day calls and music in a single set of intelligent stereo earphones with up to 17 hours of talktime and 15 hours of music listening for people with on-the-go lifestyles. Available at S$138 from both online and retail channels in Singapore: gowireless.com.sg, Challenger, DigitalStyle, Harvey Norman, Newstead Technologies, Stereo Electronics, Apple Authorised Resellers from mid-July onwards. The new earphones are targeted at 79 percent of users who want a single set of headphones for both calls and music, but find the call-experience on most music devices inadequate for both. Jabra boasts uncompromising sound-quality thanks to 10mm speakers and Jabra’s audio capabilities. The neckband wearing style is offers comfortable, all-day use and seamless switching between calls, music and media. Jabra expands its SPEAK series by adding ease of use to conference calls and simplicity to collaboration. The SPEAK 810 is now available in Singapore at US$599. The new Jabra SPEAK 810 promises flawless call experiences, removing barriers to productivity and poor technology adoption for the future of meeting collaboration. The key features of the SPEAK 810 conference speakerphone includes the following. Zoom Talk microphone with adaptive array 5m/15ft. range (15 people). Connectivity: USB, Bluetooth/NFC and 3.5 jack. USB charge out for charging tablets and mobile phones. More details can be viewed/downloaded in the press release below. Jabra’s new headset is designed for today’s mobile workers to deliver clear communication while on the move, and is fully interoperable with all mobile devices and UC platforms. Available from this month at S$235 through authorised Jabra Business Solutions partners. “We’re very focused on developing technologies that make it convenient for users to harness the power of UC, and our team works relentlessly to create these devices that addresses their different needs. After our successful launch of Evolve, we’re now introducing the Jabra Stealth UC for mobile workers. It will allow users to have maximum mobility and comfort while wearing the headset,” said Mark Leigh, President, Asia Pacific, Jabra. Jabra today announced the latest addition to their Unified Communications line-up of products, the new Jabra Stealth UC Bluetooth headset. Enjoy music in immersive Dolby Digital sound while the integrated biometric heart rate monitor in the earbuds work with the app to bring your training and fitness to the next level. RRP: S$298 from 1 November. From 1 November, Jabra Sport Pulse Wireless retails at Apple premium resellers, Challenger, Harvey Norman, Stereo Electronics and other authorised resellers at an RRP of S$298. The Jabra Sport Life App accesses biometric data from the earbuds to help you track and evaluate your workout. With one touch, users of iOS and Android devices get a clear view of how close they are to meeting their training goals; hear real-time personalised audio coaching, change music or even answer or end calls – during the workout. Denmark-headquartered Jabra combines the brand’s signature Digital Signal Processing (DSP) technology and the distinctive ergonomic beauty of Scandinavian design in the new Jabra Move Wireless (S$148). The Jabra Move Wireless weighs only 150g and is available in 3 colours: Cayenne, Cobalt and Coal. The Jabra Move Wireless sports an ultra-lightweight stainless steel headband that is both sturdy and stylish. It promises depth and clarity for music lovers with “premium digital sound in crisp and clear mids and highs while embodying clean lines and minimalist style”. The new Jabra Step Wireless earbuds is priced at an affordable entry-level S$108 and is available now in subtle black at Apple premium resellers, Challenger stores, Harvey Norman, POPULAR bookstores and other authorised Jabra resellers. The Jabra Step Wireless entry-level earbuds is available in Singapore now at S$108. Tired of tangled wires and cords from your headphones and earbuds? The Jabra Step Wireless sets you free from entangled cables. The new Jabra Step Wireless frees you from tripping over wires and allows you to connect to music playing devices up to 10m away. Weighing in at a mere 16.5g and fitted with 10mm dynamic speakers, the Jabra Step Wireless is IP52-certified rain- and dust-resistant. The soft, flexible over-the-ear gelhooks are angled to fit naturally into the ears, with the earbuds locking in immersive, stereo sound. There is a choice of three sizes of eargels. The Jabra Step Wireless promises a battery life of up to 4 straight hours of music/talk time on a single charge and 6 days standby time. Jabra Solemate now comes with Dolby Digital Plus (for Android and iOS), NFC and an assortment of red, blue, yellow, black, white and gray. Available at S$228 from 4 November in Singapore at Apple retailers. The expanded Jabra Solemate now comes with Dolby Digital Plus (for Android and iOS), NFC and an assortment of red, blue, yellow, black, white and gray (in addition to the existing black and white). Jabra, a maker of hands-free communications solutions, announces new bold colours of red, blue, yellow and grey for the Solemate, in addition to the existing black and white. From 4 November, the expanded Jabra Solemate is available at Apple premium resellers Epicentre, Infinite, istudio, Nubox; also at selected Challenger stores, Gadget World, Tech@Vogue and other authorised Jabra resellers. Whether you and your friends are listening to music from your phone, streaming a movie to your home theatre, or watching TV on your tablet, this wireless portable speaker – equipped with an integrated powerful woofer and dual tweeters amplifies the volume to 112 dB SPL for brilliance across a wide audio spectrum – delivering hours of audio entertainment anywhere your party takes you.